Looking to book Bob Costas for a corporate event, private party, fundraiser or public event worldwide? BookingEntertainment.com makes it easy and trouble free to check availability and pricing for booking Bob Costas or any other act in the business with absolutely no obligations. Booking Entertainment is the leading entertainment booking agency specializing in booking Bob Costas. We will be happy to help you get Bob Costas's booking fee, or the price and availability for any other band, comedian or celebrity you may want for your corporate event, birthday party, wedding, fundraiser or public show. At Booking Entertainment, we put our 23 years in business behind you to help you get the best price for any entertainer, comedian or celebrity for your event. In addition, our team of seasoned industry professionals can handle every aspect of the entertainment portion of your event to make sure the entertainment runs flawlessly. If you are wondering how to book Bob Costas for your event, you can trust our Bob Costas agent to handle it for you. Find out why Fortune 500 companies, high net worth individuals and fundraising organizations come back to Booking Entertainment year after year for their entertainment buying needs. We can literally book any act for you anywhere in the world. American sportscaster Bob Costas was born Robert Quinlan Costas in 1952 in Queens, New York. Bob spent his formative years in Commack, New York, on Long Island, graduating from high school with a strong academic record and then attending Syracuse University to major in Communications. However, Costas never graduated; he was offered his first gig hosting a radio station in St. Louis, Missouri, and so he left New York and launched his broadcasting career in his early twenties. Bob Costas began his sports casting career calling play-by-play for the Spirits of St. Louis and then later for the Missouri Tigers. He then fulfilled the same role for the Chicago Bulls in the late 1970’s, and landed his first network gig with CBS Sports in the mid 1970’s. But ultimately, it was with NBC that Bob Costas ultimately found his breakthrough in broadcasting, hosting NBC’s National Football League. He also did play-by-play for Major League Baseball and National Basketball Association, and then became host of his own program, Costas Tonight, on the NBC Sports Network. Since that time, Bob Costas has become among the era’s most recognizable sportscasters, hosting coverage of nearly every sport, from golf to football. Costas has also front lined many NBC Olympic broadcasts, in nearly every Olympic year between 1992 to present day. Costas also hosted the syndicated radio program, Costas Coast to Coast, for a full decade, in addition to the late night television broadcast Late with Bob Costas. The show earned Costas an Emmy for Best Informational Series in 1993. In 2001, Bob Costas began hosting a series of shows for the HBO network, including: On the Records with Bob Costas, Inside the NFL, and Costas Now. In addition, he has served as host for various shows on the MLB Network, NFL Network, and PBS. Today, Bob Costas can be seen doing play-by-play for the MLB Network, and on his own show, Studio 42 with Bob Costas, which also airs on MLB. During his first four years at HBO, Costas hosted "On The Record With Bob Costas," which established itself as one of network television's most respected programs for its compelling mix of interviews, commentary and opinion. In May of 2006, Costas was presented with the Sports Emmy for Outstanding Studio Host, marking the fifth straight year that he has received that honor from the National Academy of Arts & Sciences. The award recognized his work on both HBO and NBC Sports. In addition, Costas Now was awarded the Sports Emmy for "Outstanding Edited Sports Special" for the compelling journey of David Robinson, the son of sports pioneer Jackie Robinson, who has built a life and a business cooperative in Tanzania. In September 2002, Costas and all-time NFL great Cris Carter joined Cris Collinsworth and Dan Marino as co-hosts of HBO's award-winning football program "INSIDE THE NFL," cable's longest-running series. With the addition of Costas and Carter, ratings for the series rose considerably in 2002 and the program received the Sports Emmy Award in April of 2003 for Outstanding Studio Show - Weekly. The program was again recognized as the Outstanding Studio Show - Weekly at the May 2005 Sports Emmy event and the 2006 Sports Emmys. The 31st season of "INSIDE THE NFL" will begin Wednesday, September 13, 2006. Costas, a 26-year veteran of NBC Sports, joined the network's sports division in 1980. Since then, he has hosted seven Olympics and been prominently involved in virtually every major sports event, including numerous World Series, Super Bowl and NBA Finals broadcasts. His most recent Olympics assignment was serving as prime time host for the 2006 Winter Games in Torino, Italy. From August 1988 through January 1994, he hosted his own late-night interview show, "Later with Bob Costas," on NBC; the program won the 1993 Emmy Award(r) for Outstanding Informational Series. He has also received 15 Sports Emmys(r) as a broadcaster and two Sports Emmys(r) for writing and another as host of the general interest program "Later with Bob Costas" on NBC. His book "Fair Ball: A Fan's Case for Baseball," published in the spring of 2000 spent several weeks on The New York Times bestseller list, garnering excellent reviews. He also was the narrator for the books and audio package "And the Crowd Goes Wild" and "The Fans Roared," both of which made The New York Times bestseller list. 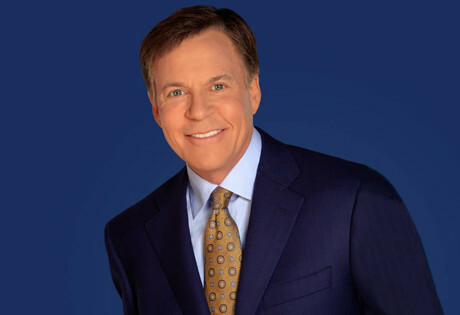 Costas has been honored as Sportscaster of the year by the National Sportswriters and Sportscasters Association a record eight times. For more information on booking Bob Costas, please contact Booking Entertainment. One of our top booking agents will be happy to work on your behalf to get you the best possible price to book any big name entertainer for your upcoming public, private or corporate event worldwide. The agents at Booking Entertainment have helped clients book famous entertainers like Bob Costas for private parties, corporate events and public shows around the world for over 23 years. Our agents will be happy to assist you with any of your famous entertainment buying needs. All you need to do is fill out an entertainment request form or call our office at (212) 645-0555, and one of our agents will help you get pricing information and available dates for Bob Costas or any other A-list entertainer for your next event. How to book Bob Costas for a corporate event? Booking Bob Costas for corporate events is a great way to thank your employees and clients, and in addition, hiring Bob Costas for a corporate event is a fantastic way to promote your company's image to your industry. Booking Entertainment can book Bob Costas for corporate events worldwide, providing you with the fee to book Bob Costas and their availability on your specific date. We have helped our clients book Bob Costas and thousands of other acts for almost 25 years. Whether you are looking at hiring Bob Costas for a corporate event, product launch, trade show, holiday party or an employee appreciation event, your assigned Booking Entertainment agent will be happy to get you the best price for booking Bob Costas and help make sure that every aspect of the entertainment portion of your corporate event is executed flawlessly. How much does it cost to book Bob Costas for a corporate event and what do the fees for booking Bob Costas include? If you are looking to hire Bob Costas for a corporate event and are looking for Bob Costas’s booking fee for corporate events, Booking Entertainment will be happy to get you pricing to book Bob Costas for your date for free. The cost of hiring Bob Costas for your corporate event can include just the price of booking Bob Costas for a corporate event, or we can give you an estimate for booking Bob Costas that includes absolutely everything that goes into hiring Bob Costas including all fees, flights, hotel, ground, production, green room requirements and our veteran production team onsite to make sure everything runs smoothly from load in to load out. How Much Does It Cost To Hire Bob Costas? Looking for Bob Costas booking cost, fee or pricing? When you are booking an act like Bob Costas, many factors determine the final price, including the artist's touring schedule and other shows they may have in your area. Fill out an entertainment request form or call our offices at (212) 645-0555 and one of our booking agents will get you a pricing fee and availability for your date and assist you in booking Bob Costas or a different well-known act for your next event. How Do I Hire Bob Costas For A Private Party? Wondering how much does it cost to book Bob Costas for a private concert or will Bob Costas play a private party? Whether you are looking to book Bob Costas for a wedding, private party or anniversary party, our Bob Costas booking agent who specializes in booking Bob Costas will be happy to help you to book Bob Costas and take care of everything necessary to make sure the show is executed flawlessly. Fill out an entertainment request form or call our office at (212) 645-0555 and one of our Bob Costas booking agents will assist you in hiring Bob Costas for a private event anywhere in the world. How do I hire Bob Costas for a college concert from booking agencies that book concerts for colleges and universities? Booking talent for college and university events is something Booking Entertainment has been helping college talent buyers do for almost 25 years. Whether you are looking to book Bob Costas for a sorority party / fraternity party or a college concert event sponsored by the college entertainment committee, college talent buying is something we specialize in at Booking Entertainment. Simply fill out our form, email us or call the office and one of our college booking agents will be happy to help you make sure that every aspect of booking Bob Costas or anyone else for you college event is taken care of to ensure your college or university concert runs smoothly and cost effectively. How much does is it cost to book Bob Costas for a college or university concert and are fees for booking college concerts less expensive? When college entertainment buyers book famous entertainers such as Bob Costas to play for college concerts, sorority parties or fraternity parties at colleges and universities, we know the acts tend to charge a lower fee than they would cost for a traditional public or private concert. Of course, how expensive it is to book college entertainment depending on how big of an act they are, but colleges and universities tend to get a better fee for booking big name entertainment for college and university events. One of our college entertainment booking agents will work closely with you to make sure you get the best possible price for your college’s concert. Buyers who don't have a lot of experience booking famous acts often find the process frustrating when they try to do it on their own. Our Bob Costas agent that specializes in booking Bob Costas can use our reputation and relationships to help you navigate the entertainment buying process and get your offer for booking Bob Costas seriously considered. The artist’s managers want to know that everything will be handled properly, and Booking Entertainment’s stellar 23-year reputation and our attention to detail provide them with the peace of mind that the show will be flawlessly executed from beginning to end. How Do I Book Bob Costas For A Fundraiser or Gala? Wondering how much does it cost to book Bob Costas for a fundraiser or will Bob Costas play a gala? Your assigned Bob Costas agent will be happy to help you to book Bob Costas and we can even take care of everything necessary to make sure booking Bob Costas is easy and trouble free. Fill out our entertainment request form or call our office at (212) 645-0555 and one of our booking agents for Bob Costas will assist you to book Bob Costas or any other entertainer or celebrity for your next fundraiser or gala anywhere around the world. How Do I Book Bob Costas To Perform At My Wedding? You might ask yourself, “How do I hire Bob Costas for a wedding?" We have helped hundreds of clients book acts like Bob Costas for weddings and wedding ceremonies worldwide. Your assigned Booking Entertainment agent will not only be happy to assist you in hiring Bob Costas to perform at your wedding, we will be onsite to make sure booking Bob Costas for your wedding is executed flawlessly. Can I book Bob Costas for a wedding and how much does it cost to book Bob Costas to sing at a wedding? If you are serious about booking Bob Costas for a wedding, Booking Entertainment will gladly get you the Bob Costas booking fee and availability for booking Bob Costas for your wedding date. The price for booking Bob Costas will include all of the fees and additional expenses necessary to hire Bob Costas for a wedding including all production costs, flights, hotels, ground and green room requirements. If I hire Bob Costas to perform at my wedding, how do I integrate booking Bob Costas into my wedding? Hiring celebrity entertainment for a wedding is a great way to surprise the guests or even the bride or groom. When we book big name acts like Bob Costas for weddings, we work closely with the wedding planner beforehand to make sure everything involved with the entertainment integrates seamlessly with the flow of the wedding . Our staff of veteran producers will then be onsite at the wedding to make sure when you book Bob Costas for your wedding, everything runs smoothy from load in to load out. How do I contact Bob Costas’s agent or Bob Costas’s manager? Even if you have Bob Costas contact information, Bob Costas’s management contact info like Bob Costas’s manger's email or even Bob Costas’s manager's phone number, you still need a company like Booking Entertainment to help coordinate everything that is necessary to book Bob Costas to perform for your event. Agents and managers contact us all the time to help people that find the agency contact info or management contact info and contact the agents and mangers directly. Managers and agents trust our agency to handle everything to the industry standard as we have for almost 25 years. How Do I Book A VIP Experience With Bob Costas At A Event Or Concert? With Booking Entertainment, booking premium seats and backstage meet & greets with Bob Costas is easy and accessible to anyone around the world. Fill out an form or call our office at (212) 645-0555 and one of our agents will assist you to get pricing and availability to have Bob Costas VIP experience at a concert or event. Booking Entertainment works to get the best possible Bob Costas booking fee and Bob Costas price for our clients while also providing the celebrity or famous entertainer with the level of professionalism and industry norms that they expect from an event run by a professional booking agency and production management. Booking Entertainment uses our agency / management relationships and over 23 years of production experience to help buyers of headline / top name entertainers and does not claim or represent itself as the exclusive Bob Costas agent, manager or management company for any of the artists on our site. Booking Entertainment does not claim or represent itself as the exclusive booking agency, business manager, publicist, speakers bureau or management for Bob Costas or any artists or celebrities on this website.